Knox Fire Extinguisher offers complete, quality-driven solutions for the restaurant and beverage-dispensing industries. Knox Fire Extinguisher has been supplying & servicing compressed gas customers for over 35 years. We currently offer localized service, installation and delivery. Knox Fire Extinguisher bulk Co2 is a safe, economical and efficient solution for beverage-dispensing applications. Ask your Knox Fire Extinguisher representative how mini-bulk Co2 will work for you. Your customers, employees, and bottom line will appreciate the advantages! Knox Fire Extinguisher bulk Co2 delivers enhanced beverage quality through an uninterrupted flow of Co2 to your drink dispenser equipment. Contamination from changing cylinders is no longer a concern. 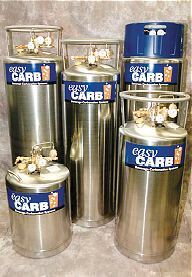 Bulk Co2 assures that the drinks you sell are consistent and of the utmost quality. Knox Fire Extinguisher bulk Co2 deliveries are easy and safe. We fill the Co2 receiver vessel through a small fill box on the outside of the building. No more cylinders rolling through crowded public areas. No more costly cylinder changes during peak customer hours. We also hydro test them up to 5000 psi. Regardless of the pricing system that is right for your business, total costs for dispensing beverages will go down. Bulk eliminates costly changing and handling of cylinders. The constant supply of Co2 eliminates the return of residual gas in cylinders due to peak business planning. Knox Fire Extinguisher bulk Co2 is contained in a low-pressure vessel. Potential employee injuries from handling high-pressure cylinders no longer exist and cylinder handling training for employees is no longer required. Customers are not exposed to deliveries of cylinders during business hours and interruptions in your beverage service are eliminated. Remembering to order adequate quantities of high-pressure Co2 is no longer an issue. Deliveries are made on a regularly-scheduled route.